A lot of fantastic games had to be cut from the following list to make room for my absolute favorites of the past nine years. Game Informer has published a feature in which 35 of the world’s top game developers, including Randy Pitchford, Evan Wells and Ted Price, list their top five games of the past generation. The feature would probably have been more interesting if they had to motivate their picks, but it still got me thinking – what are my top five games of the generation? I pretty much missed out on the PS2/Xbox/Gamecube generation, but this generation, I played – or tried to play – everything. Unsurprisingly, singling out five games among dozens and dozens of amazing titles turned out to be difficult. A lot of fantastic games – games I’ve spent countless hours with and enjoyed immensely – had to be cut from the following list to make room for my absolute favorites of the past nine years. Yoshi was one of the great additions to Super Mario Galaxy 2. Super Mario Galaxy was undoubtedly one of the games best of all time, and the sequel improved on it in almost every way. The rough parts of the original were ripped out and the best parts were expanded upon. 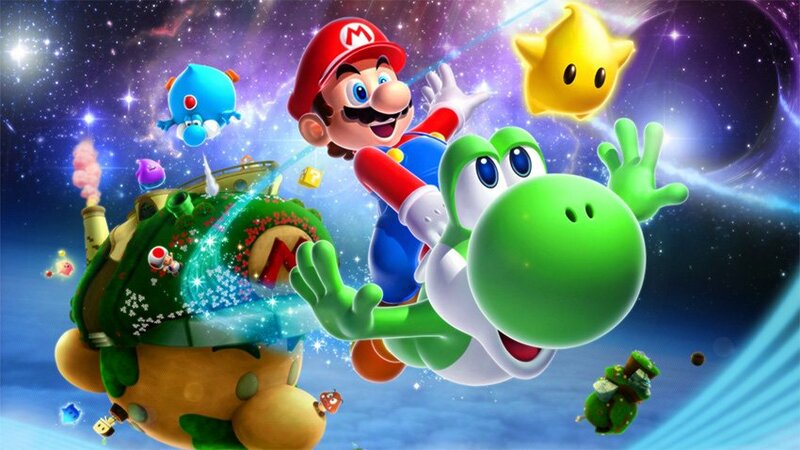 Shigeru Miyamoto originally planned to release Super Mario Galaxy 2 as an expansion, but decided that they had enough content to merit a completely new game. They could’ve released two. Super Mario Galaxy 2 introduces mechanic after mechanic that are used more imaginatively than pretty much anything else released this generation, and unceremoniously throws them aside after only one or two levels. Almost everything from the intro to the end credits was fantastic, and it left me wanting more of all of it. No game has put a stupid grin om my face as many times as Super Mario Galaxy 2. Bloody Mess. Best. Perk. Ever. Before Fallout 3 was released, people disparagingly described it as ”Oblivion with guns”. I had clocked over 300 hours in The Elder Scrolls IV: Oblivion by then, so that sounded pretty good to me. 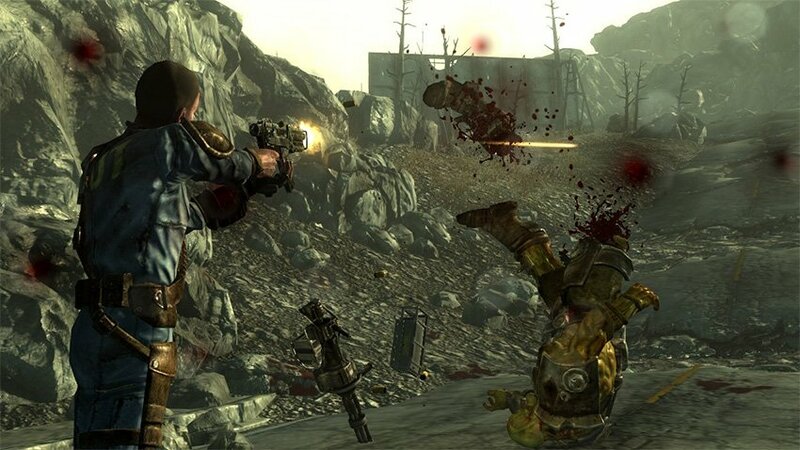 From the moment I stepped out of Vault 101 and took in the post-apocalyptic Wasteland of Washington DC as the Vault Dwellers eyes adjusted to the sun, I was hooked. I don’t think I’ve ever spent so much time in a game doing nothing but exploring. I walked from one end of the huge map to the other again and again, shooting mutants, running from Death Claws and exploring the dialogue trees of the handful individuals still struggling to survive in the Wasteland. I played a text-based adventure on a terminal in a desolate office building, convinced the artificial intelligence President John Henry Eden to take its own life and watched Megaton go up in a mushroom cloud (just before I reloaded my save and shot Allistair Tenpenny in the face). I saw everything there was to see. I did everything there was to do. And when I had played Fallout 3 to exhaustion, I turned to the five DLC packs. 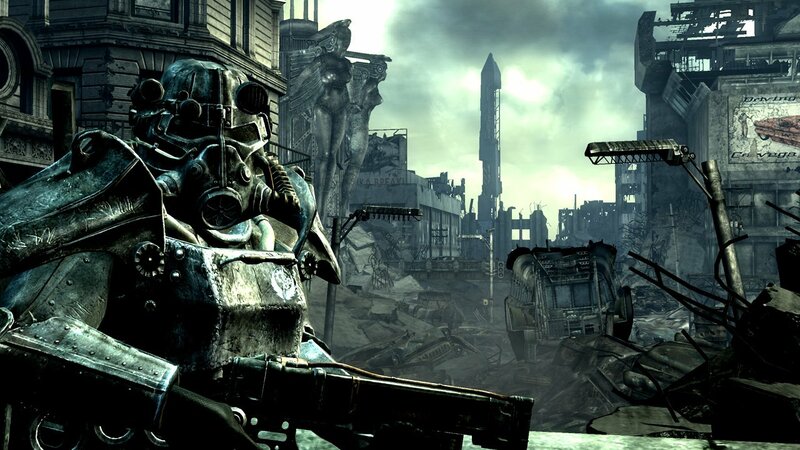 With Fallout 3, Bethesda managed to create a world that is both one of the biggest and one of the most engrossing in gaming history. It is one of only two retail games that I’ve unlocked all of the achievements in. The other is The Elder Scrolls IV: Oblivion. Bethesda Game Studios had a pretty good generation. I spent most of my gaming time in 2011-2012 sneaking around with a bow and arrow. Speaking of Elder Scrolls and Bethesda Game Studios: The Elder Scrolls V: Skyrim engrossed me completely for a full week when it was released, and I’ve kept coming back for more years after its release. 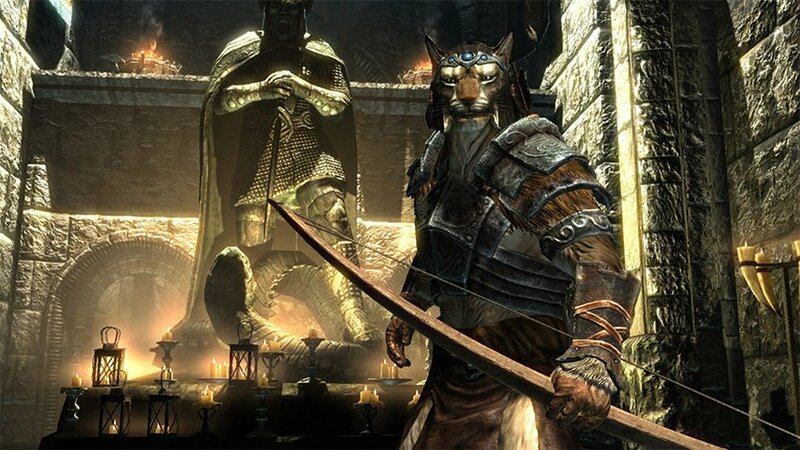 I have played it as a Nord wielding two-handed swords and axes, storming through keeps and caves slashing like a madman. I have played it as an altmer magician, summoning the undead and engulfing enemies in fire and ice. I have played it as a bosmer thief and marksman, exploiting Skyrim’s beautifully broken sneak system to take out complete strongholds, one bandit at a time, without being spotted. I’ve probably seen Alduin destroy Helgen six or seven times. I played Skyrim for well over 200 hours without touching any of the DLC. When I did get around to the DLC, I spent almost another 100 hours with it. The story, the gameplay and the mechanics of the quests, factions and world exploration were all thoroughly improved from the predecessor Oblivion, and it resulted in a game that is dangerously easy to lose yourself in. Now that I think of it, there’s still a few achievements that I haven’t unlocked in Skyrim. I need to clear my schedule. If this image doesn’t make you shiver, you haven’t played BioShock. Some moments in gaming find a way to etch themselves onto the collective consciousness of all gamers. We all remember when Link pulls the sword from the stone in Ocarina of Time, when we broke out of Aperture’s sciences lab in Portal and when we first split a zombie in two with the gravity gun in Half-Life 2. BioShock has about ten of those moments. 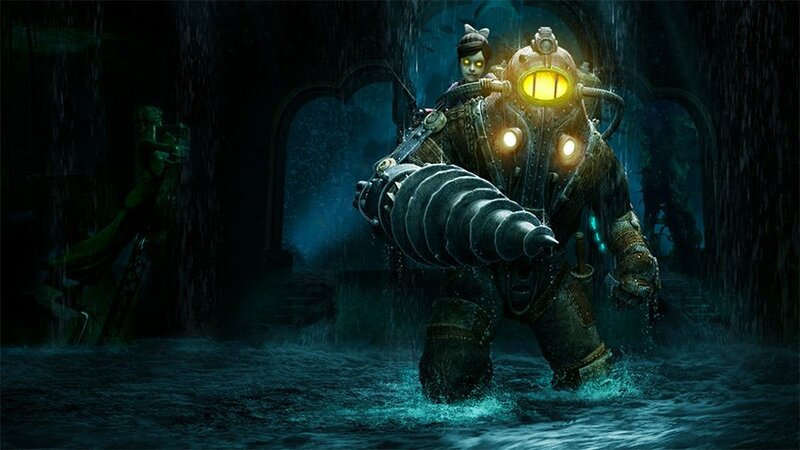 From when the bathysphere rises above the rocks to reveal Rapture, the city beneath the sea, to the first time we encounter a Big Daddy, to would you kindly… The gameplay in BioShock hasn’t aged as well as the gameplay in some of the other titles on this list, but I’m confident that the universe of BioShock – expanded upon by BioShock Infinite – will remain as thrilling in ten years as it was in 2007. It looked, sounded and felt unlike anything I have ever played, before or after. Exploring the water-soaked halls of Andrew Ryans failed utopia is one of the most memorable gaming experiences I’ve ever had. 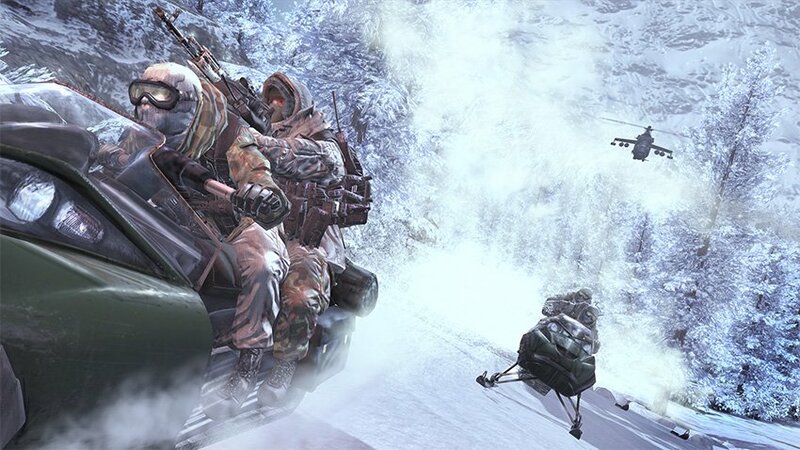 Multiplayer aside, there were some really cool moments in MW2:s single-player campaign. The Call of Duty guys have gotten the first person shooter down to a science. A constant, relentless flood of endorphins delivered through head shots, kill streaks and level-ups. The game is also very unforgiving, and sometimes frustratingly hard – but the tight controls mean that you have no-one else to blame but yourself when the player on the opposing team gets the iron sights up before you do. The steep difficulty curve also makes it all the more satisfying to rack up eleven kills in a row and call in the Chopper Gunner. Modern Warfare single-handedly sent back every other first person shooter developer to the drawing board. It forced them to rethink everything from the controls to the shooting mechanics to the multiplayer. And by rethink, I mean copy what the Call of Duty developers did. It took four years for the other guys to catch up. Some would argue that they still haven’t. I missed out on Call of Duty 4: Modern Warfare, but I got hooked on the sequel when it was released in 2009. I still return to it every now and then to work my way towards my fifth Prestige. Or is it sixth? I forget.